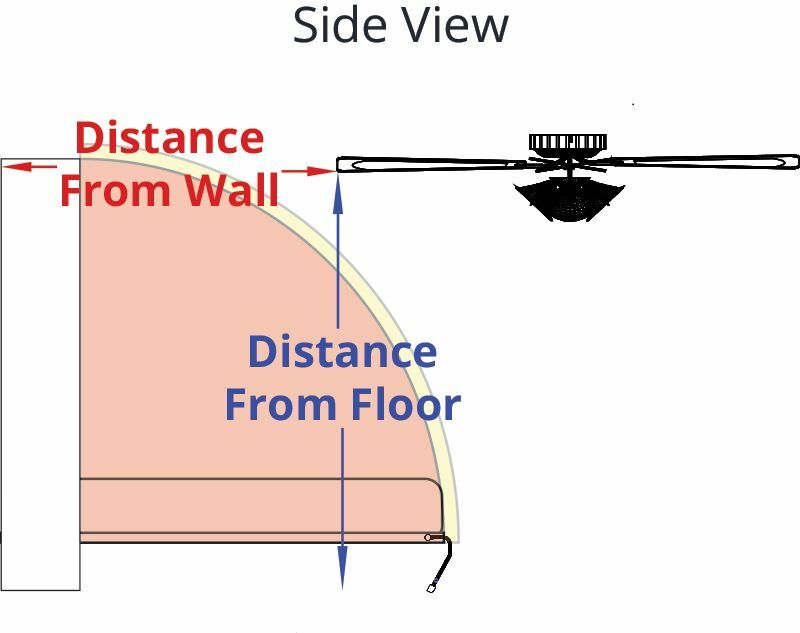 Use the form on this page to calculate the swing arc between our Murphy Beds and any possible light fixtures or ceiling fan you have nearby. Measure as accurately as possible to the point of the fixture that will be closest to the bed, using inches and decimals, e.g. 30.25, to calculate murphy bed clearance. Click on the image to the right to see an example. Ceiling fan clearance varies between our collections. You can then avoid collisions by adding a customized murphy bed height to your order.